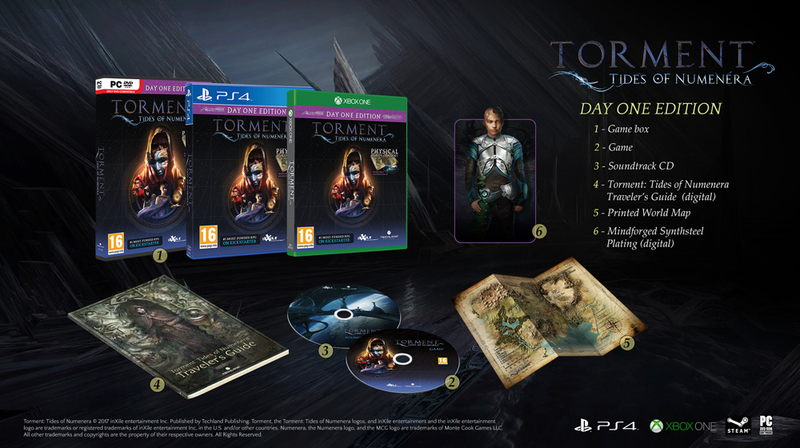 Torment tells a new story in a radically different setting: the Ninth World, the setting of Monte Cook’s tabletop RPG Numenera. It’s a science fantasy setting—not strictly fantasy, because it takes place in a future Earth built on technology that could conceivably exist (though certainly not with our current capabilities), but not strictly science fiction either, because the technology maintains a strong sense of weirdness and mystery akin to magic. This is especially true in Torment, where we prefer to emphasize the fantasy feel over sci-fi. Ninth Worlders don’t talk about androids, DNA, nanites, or computers, but rather constructs, nano-spirits, and ancient intelligences. There might be a biomechanical alien that uses nanotechnology to phase through quantum dimensions, but even the Aeon Priests - the most educated of Ninth Worlders--wouldn’t use any of those words. An Aeon Priest might call it a transdimensional visitant that uses the numenera to exist partially out of phase, while everyone else would just call it a demon.